Most of these widgets are shown in either Motif or Windows style. All widgets are supported in both styles (and other styles), but for clarity we just present a selection. Qt provides more widgets than the selection shown below. And extra Qt are available from third parties, and as add-ons to Qt; see Qt Solutions, and User contributed Qt additions. Below we have three views seperated by QSplitters. At the top-left there's a QListBox, at the top-right there's a QListView with a QHeader and two QScrollBars. And at the bottom there's a QIconView. Below we present a QMainWindow which has a QMenuBar and some QToolBars that contain various widgets, e.g. QToolButtons and QComboBoxes. 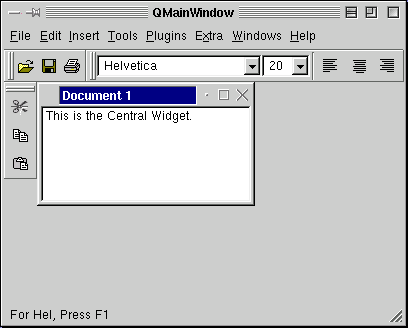 The central widget is a QWorkspace which is used for MDI window management and which contains an MDI-Window featuring a QTextEdit. At the bottom you see a QStatusBar and at the bottom-right a QSizeGrip. 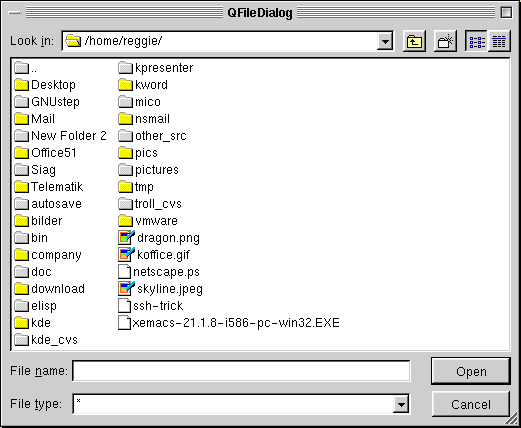 The image below shows a QFileDialog. On the Macintosh and Windows platforms you can either use a QFileDialog or the native file dialog. This is explained in the QFileDialog class documentation. 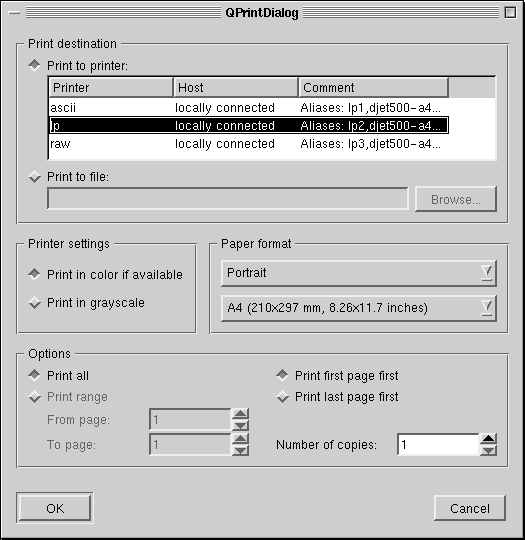 Below is a QPrintDialog. 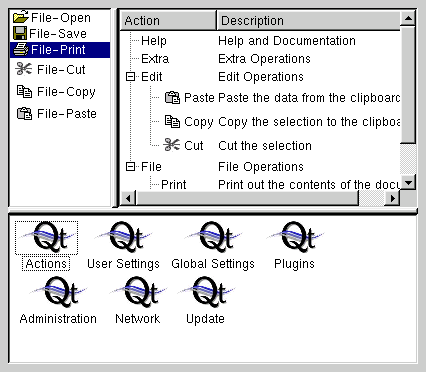 On Macintosh and Windows the native print dialog is used, but for other platforms we provide QPrintDialog. Use QPrinter::setup() for portability instead of the QPrintDialog if you need to be platform independent. 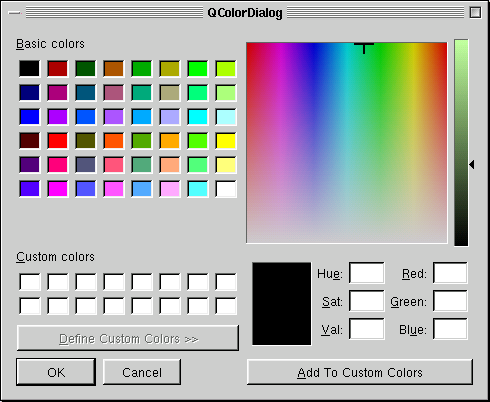 The screenshot below shows a QColorDialog. 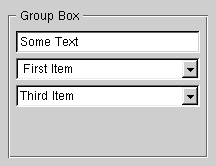 Messages are presented using QMessageBoxes, as shown below. The image below shows a QProgressDialog. The QProgressBar can also be used as a separate widget. 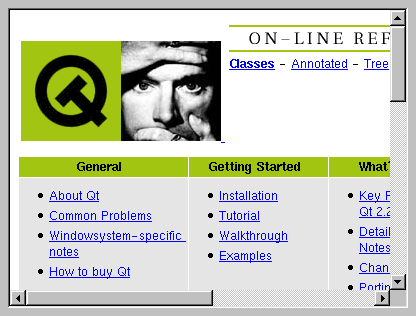 In the screenshot below we have a QGroupBox that contains a QLineEdit, a read-only QComboBox and an editable QComboBox. The screenshot below shows a QPopupMenu. In the screenshot below there's a QButtonGroup containing four QRadioButtons and two QCheckBoxes. 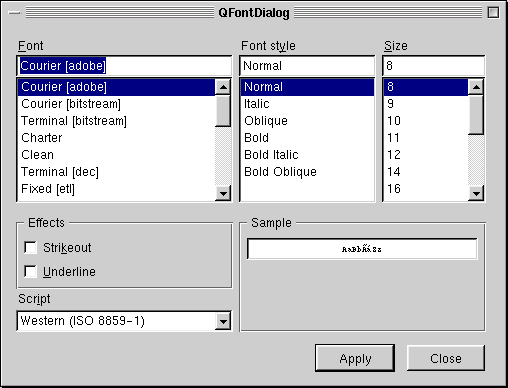 The screenshot below shows a QTabDialog. The tabs (QTabBar) or the more convenient class QTabWidget, which combines a tab bar with the pages, can be used separately. 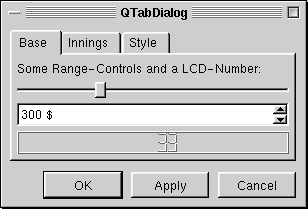 In the visible page you see a QLabel, the range controls QSlider and QSpinBox and below a QLCDNumber. In the bottom row there are some QPushButtons. In the screenshot below there's a QTextBrowser displaying a HTML page. See also QTextEdit.